Full-liquid diets are designed for instances when the body can digest all liquids, but still can not tolerate solid food. Your doctor or dietitian may recommend this diet after surgery or if chewing and/or swallowing food is a problem. Because this diet includes most of the recommended food groups with the exception of meat, this diet can be followed for long periods of time when properly planned. Sometimes your doctor may also prescribe a commercial supplement or extra vitamins. Adding nonfat dry milk to beverages and soups. Adding instant breakfast powder to milk, puddings, custards and milkshakes. Adding strained meats (such as those in baby food) to broths. Adding butter to hot cereals and soups. Including sugar or syrup in beverages. Using smooth ice cream in desserts and beverages. 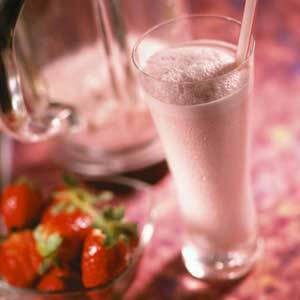 Using prepared breakfast mixes in milk or milkshakes.